Translations Thread, All That Moonspeak, Deciphered!! Here's the first page you see when you access Network Mode. If you accept the agreement, you move on to this page. 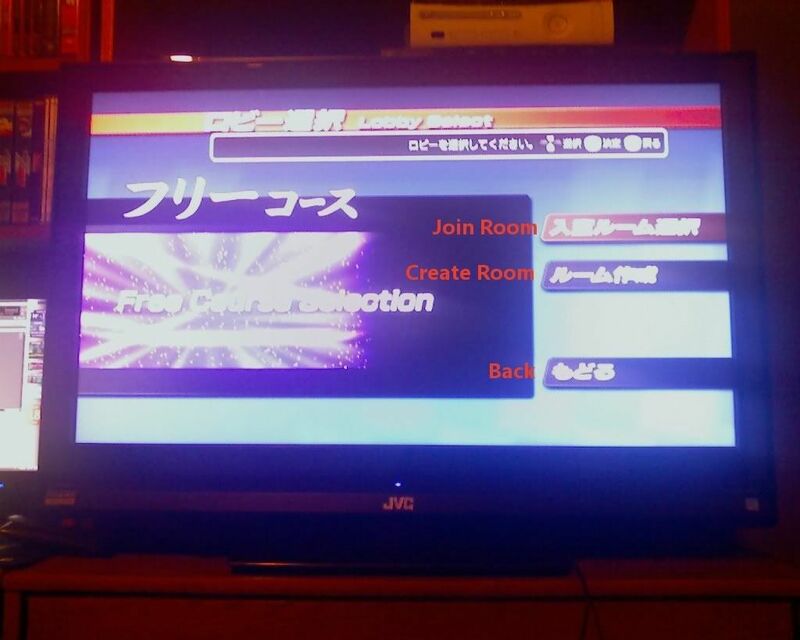 If you want to PLAY TOGETHER, select Free Mode and you'll find your way here. 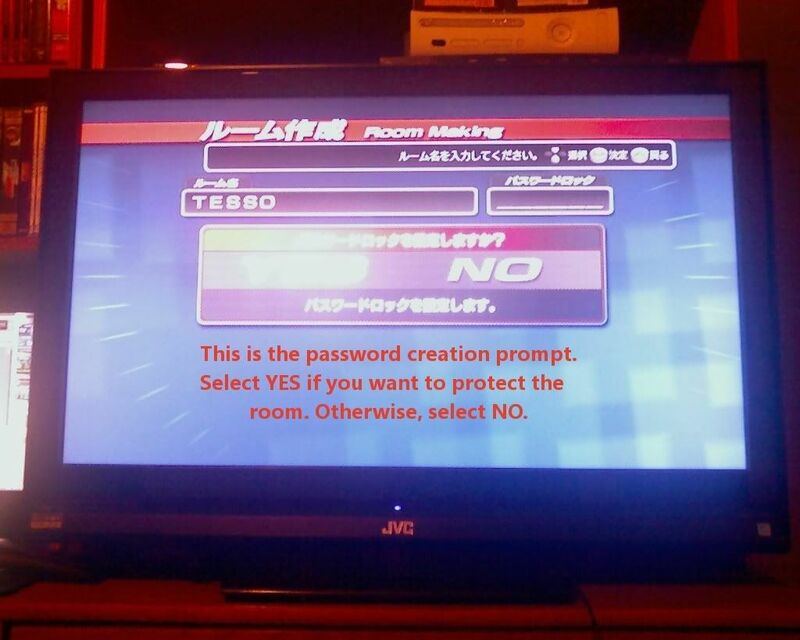 Password creation option in Room Creation mode. The option that flashes up right after you select boost on/off asks if you accept the opponent's course selection. If you select YES, the race begins. If you select NO, another venue will be chosen until both players agree on a course (this can take forever with assholes that only want a certain course and conditions). challenge(a random opponent or do you get to pick? ), blocked user(can you specify who to block), block user(how is this different than the 1st block user option)? I really never tried those block buttons, but the first one seems to be a blacklist of some sort, while the other one is a way to block certain users from challenging you. I think. I don't use them at all since I only play with people I wouldn't need to block anyways. the comic section we can unlock or download? 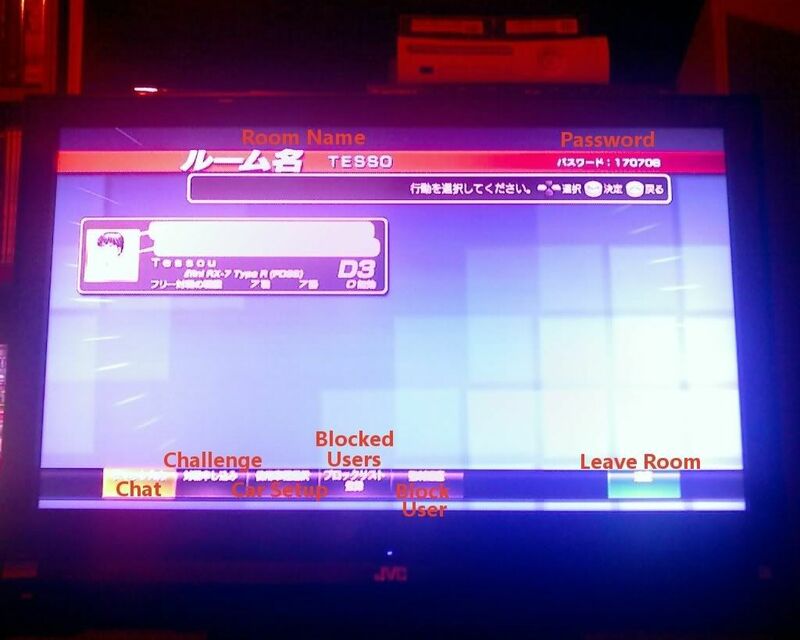 This is the network ranking screen. - The top option shows you the top 100 ranked players. - The third option lets you upload your replays. - The fourth option takes you back to the previous screen. 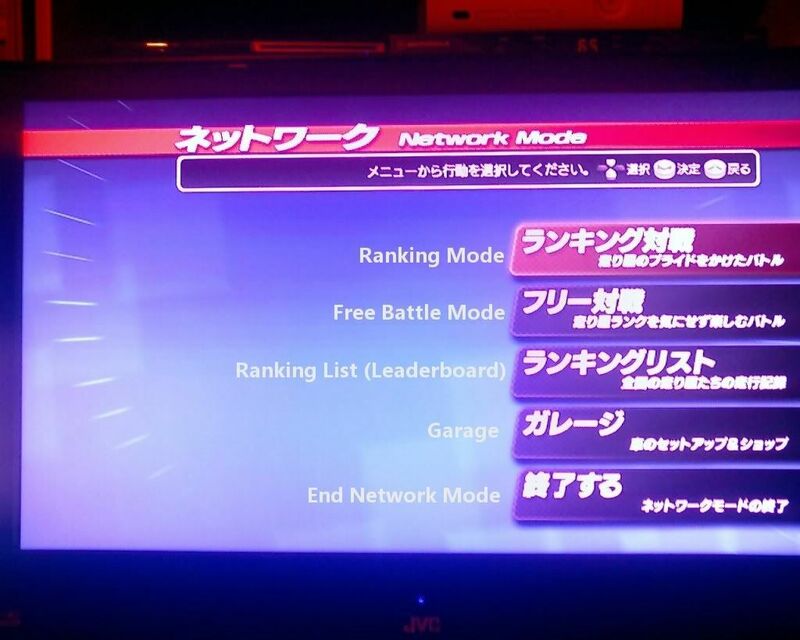 This is the ranking mode menu. - The first option is Ranking Match. 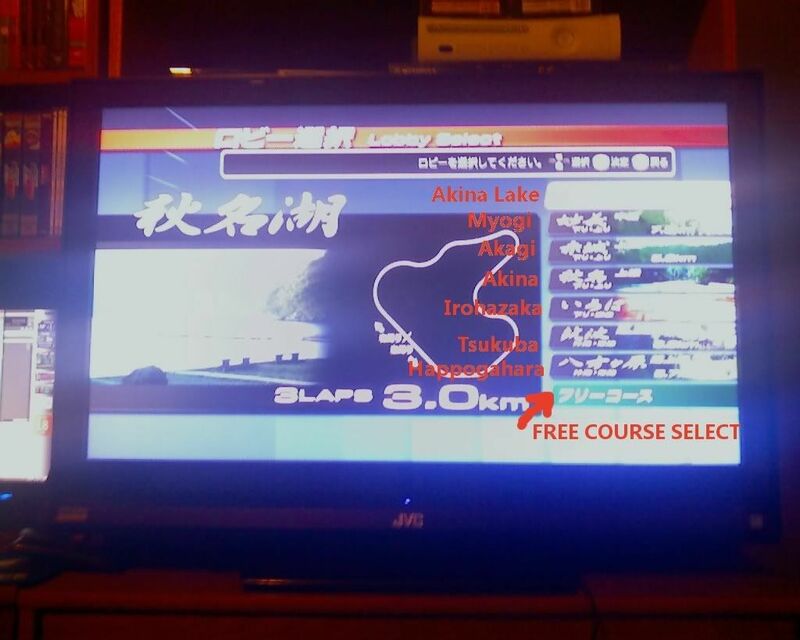 It automatically looks for an opponent, and then one of you will choose the locale before the race begins. When the race is over, you return to this screen. - The second option lets you change your car's transmission, and that's about it. Kind of worthless. 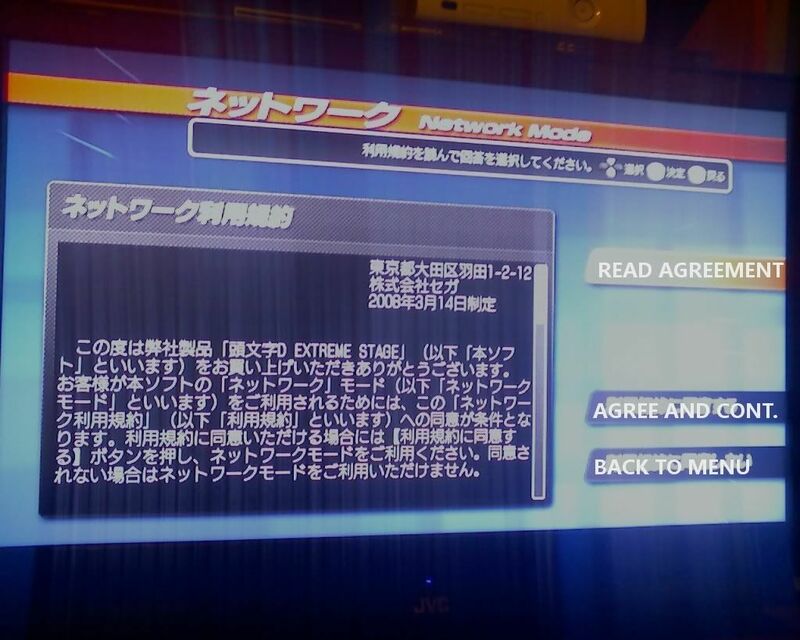 - Third option, as always, takes you back to the network mode menu. That is a sample comic to show you what the feature looks like. You can buy the comics in the JP PSN Store for about 300 Yen each. There are five volumes out already, and they cover battles you've already seen a thousand times before. I would avoid this feature, honestly. It will cost 485000 points to obtain all internal upgrades. At least try to credit Wolf, please. I already did translate them. Why ask me to help you if all the answers were already posted right there before you even posted this? Learn kanji. Seriously, just knowing katakana and hiragana will not get you very far. I wanted to know at the beginning of each race. What stood for win / lose..
Because I see 3 spots for 3 different numbers. Can someone confirm the correct order? You can use this to find out who likes to drop connection to avoid loss since the numbers don't stack up on them. What could have possibly happened during the 20 other races? I seem to be pretty even about myself right now then.... thank you for that. I feel good about myself now.. but... that's odd.. they didn't seem that fast... compared to the people who raped me.. oo; but they are ranked 43 or something around that... hm.... i can't tell if im fast now or wut.. well.. i guess im ok at tsukuba.. still got to work with things.... but so far.. i love Tsukuba and Akagi with my evo 4... not so much.. irohakaza.. I have pinned this thread since it deals with important reference materials in the game. If we spot any more threads asking for translation help outside of this pinned thread, it is grounds for an actual warning from now on. This is adherant to the universal forum guidelines. Also, I merged all existing threads that had relevant translation information into this thread, so now everything you need is in one spot. Could anyone post up scans of the english manual or know where to download it? Just before a online ranking race,the two players have choice between YES or NOT.What is this? i think thats asking if you are you sure you want to play, i pressed no last night and it took me back to the network screen. Thank you so much, very helpful. Thank you,i was really wondering about this.